The annual international collaborative album created by Diles at Central Root in Albuquerque, NM. Presented by Visceral View Entertainment this series continues to deliver timely music each year with vibes and topics encapsulating the specific time period during the creation of each project. Much like a batch of green Chile every year offers subtle differences but overall you can begin to expect a certain frequency when playing these records. Speaking of frequency this is the 8 consecutive year of the project which makes it the longest standing series to come out of New Mexico and perhaps ever. Having featured artists from around the USA and more than 6 countries around the world, GCITA is starting to show promise as a true export of New Mexican flavor and vibe. This year stays true to the series being a platform for emerging artists and veteran professionals all at once. Most notably are features from Moka Only (founder of Swollen Members/Battle Axe Records which sold hundreds of thousands of records and won consecutive Juno awards which are the Canadian Grammy equivalent) and Scarub of the famed Living Legends crew who were pioneers in early underground Hip-Hop music worldwide. Also, Illuminati Congo is a notable name and upcoming artist who has emerged as one of Hip-Hop/Reggae’s freshest voices with a prolific work ethic. 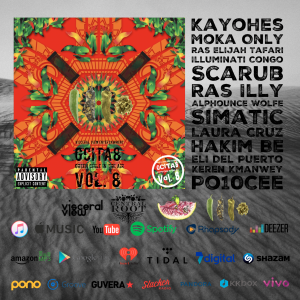 Rounding out the album is mostly the hometown hero cast of Ras Elijah Tafari, Hakim Be, Ras Illy, Laura Cruz, Simatic, Eli Del Puerto, and Kayohes. 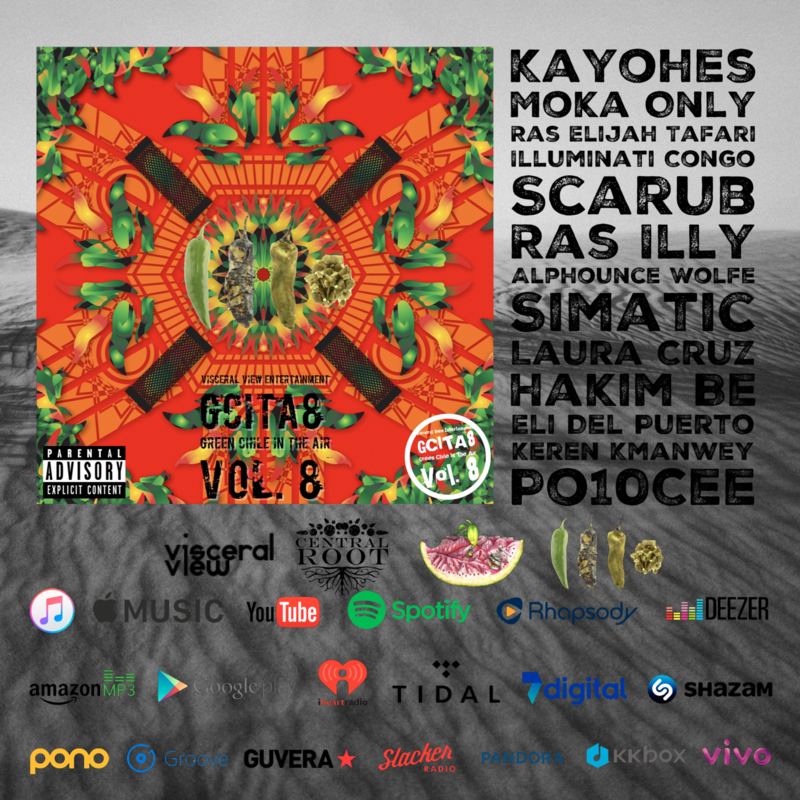 Also, Po.10.Cee from Taos, NM brought some authentic New Mexico vibes, Alphounce Wolfe from neighboring Phoenix, AZ contributed a verse and also a new voice in Keren Kmanwey from Havana who brought some Cuban flavor to the project. Another batch for the freezer!